Colombian paramilitary group AUC was planning the creation of a Venezuelan force to fight border-crossing FARC rebels in the neighboring country, a Colombian court has confirmed according to newspaper El Tiempo. The AUC was founded in the 1990s as a self-defense force against leftist rebel groups FARC and ELN, but converted to Colombia’s most prominent drug trafficking organization. 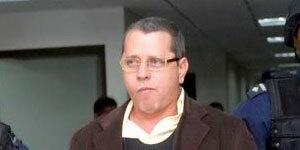 While sentencing paramilitary warlord “Julian Bolivar,” one of the founders of the Caribbean-based “Central Bolivar Block” of the AUC, the court confirmed testimonies of witness paramilitaries that the AUC block was planning the incursion until 2003 when “Gustavo Alarcon,” another Central Bolivar commander, was killed in Santander, a border state. According to the court, this “international front they wanted to create was designated the name of Jose Antonio Paez, a top figure in Colombia’s struggle for independence against the Spaniards. “The project continued until April 18, 2003 when Alarcon was killed while attending a meeting in Puerto de la Cruz in the state of Anzoategui” in northeast Venezuela. According to the court, the AUC had already sent fighters, 45 rifles and 10,000 compartments to Venezuela, but withdrew these after the death of Alarcon who was allegedly meeting with arms traffickers. The paramilitaries were subsequently sent to Vichada, a state in the far east of Colombian, bordering Venezuela. The AUC formerly demobilized between 2003 and 2006. Emergent groups, consisting of former mid-level commanders of the paramilitary umbrella organization, took over the AUC’s drug trafficking routes and have continued to supply drugs to Venezuelan drug traffickers.